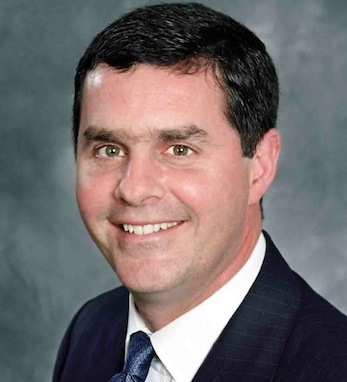 Patrick C. Lynch is one of the founding partners and president of Chicago Equity Partners. He has been with the firm for over twenty years. Prior to joining Chicago Equity’s predecessor firm, Bank of America, he held positions at Continental Bank and the Federal Reserve Bank of Chicago. Patrick earned a BA in finance from Loyola University of Chicago and an MBA from DePaul University. He holds the Chartered Financial Analyst (CFA) designation. He serves on the boards of Loyola University, the Joffrey Ballet, the regional board of The American Ireland Fund, the Catholic Education Foundation (Diocese of Joliet) and the Irish Fellowship Club of Chicago. Patrick is a first-generation Irish American on both sides. His mother is from Limerick and his father is from Kerry. Patrick says he has always been proud of his Irish heritage because “the Irish people have always strived to improve their situation for the benefit of their family and the greater society.” Patrick currently resides in Chicago with his wife, Carolyn. They have five sons.